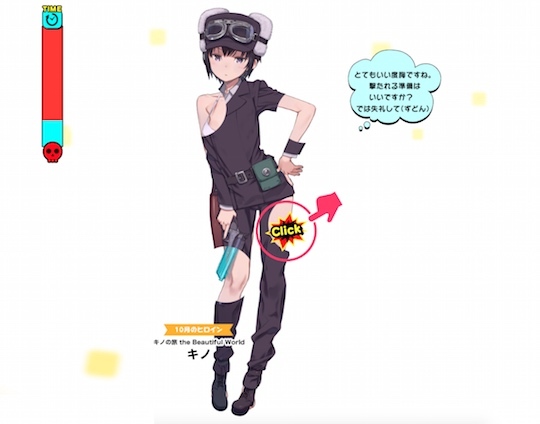 A new Japanese online game by light novel publisher Dengeki Bunko lets you undress female anime and light novel characters with just a single click. In fact, that’s the whole point of Lightning Attack Barrage 2017, which features such characters as Kino from Kino’s Journey, Asuna from Sword Art Online, and Zero from Grimoire of Zero. 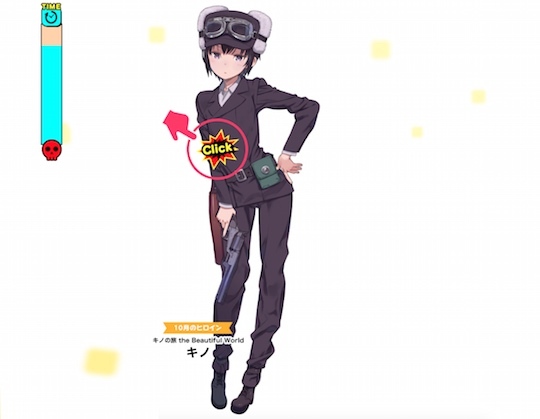 In the click game, which launched in August, the player aims his or her cursor at the anime character from the Dengeki Bunko canon. With one push, the character is stripped of their attire in that area. You win by stripping the lady down to her underwear. If this all sounds rather monotonous and simplistic, be assured that four new characters are apparently released every month. Japan condom makers exciting about supplying horny international athletes at 2020 Tokyo Olympics Sagami is delighted at the prospect of serving as official dispenser of condoms to the athletes.